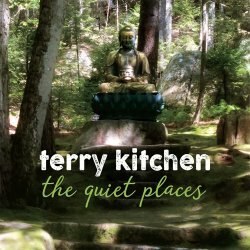 Terry Kitchen is a musical storyteller, and more. Award-winning Boston contemporary folk singer/songwriter Terry Kitchen is a captivating musical storyteller, with his tales of ordinary people facing life's myriad challenges with extraordinary grace, strength and dignity. His intimate, conversational vocals and fluid acoustic guitar take the listener on a journey to the heart of each character and each song. Though best known as a writer, he is also a compelling interpreter and live performer, and his latest album Rubies in the Dust collects some of his best-loved covers, live tracks, and creative collaborations. From the opening a capella harmonies of In My Room, Rubies in the Dust alternately soothes and challenges the listener to both appreciate each small joy life has to offer, and to examine why so many of us have such a hard time here. The live tracks strip away all pretense and leave simple truths, from the parking lot encounter that begins Life Is Hard Enough to the spiritual-but-not-religious reflection of Heaven Here on Earth to the bittersweet look-back of Take Me Blues. The sparse settings highlight each individual contribution, including guest vocals from Barbara Kessler, Rebecca Lynch and Amy Malkoff, harmonica from Annie Raines, and violin from Jackie Damsky. 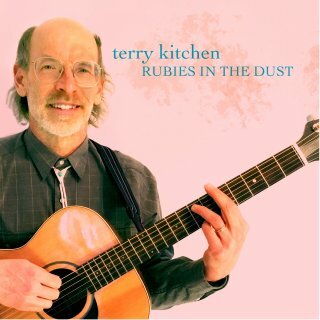 Rubies in the Dust follows Kitchen's 2017 album The Quiet Places, which reached #22 on the national Folk-DJ airplay chart (with opening track Enjoy It While It Lasts reaching #8 most-played song). Featuring Mara Levine on harmony, Bob Harris on mandolin, Don Barry on bass, Roger Williams on Dobro, Sam Dechenne on trumpet, and Barry Singer on clarinet, the album ranges from Seeger-esque folk (Seeds) to the midnight blues (Jericho) and traces an inward journey to tune out the noise and hear the whisper of one's own soul. The album's one cover song is the ecologically-themed Nature's Way, originally by the band Spirit. Previous albums include: The Post-American Century (2015, #19 on Folk-DJ), which features Sequel, Kitchen's update of Paul Simon's America, and Eternity, his duet with Mara Levine; Summer to Snowflakes (2009); Heaven Here On Earth (2007); and Blanket (1997). In concert, the intensity of Kitchen's subjects and songcraft is offset by his quietly engaging stage presence and ironic humor. Terry Kitchen was born in New Jersey, and grew up in Easton, PA on the music of the 1960s before moving to small town Findlay, Ohio in the '70s. He attended Occidental College in LA (with Barack Obama) and G.I.T. in Hollywood, then moved to Boston where he played in the '80s rock band Loose Ties (the basis for his novel NEXT BIG THING) before realizing that acoustic music was the most natural setting for his distinctive narrative songwriting. For the past twenty-five years he has performed on the New England and national folk scenes at clubs and coffeehouses including Club Passim and The Nameless Coffeehouse in Massachusetts, The Postcrypt Coffeehouse and Cafe Lena in New York, Godfrey Daniels in PA and The Bluebird Cafe in Nashville, and at festivals including Falcon Ridge, the South Florida Folk Festival, VT Solarfest, and the Telluride Bluegrass Festival. He's appeared in 20 states, including Texas, California and Alaska, and Canada. He's released twelve CDs, and his songs have appeared in numerous films. His songs have won the Mid- Atlantic and USA song contests and been runner-up in the John Lennon Song Contest and been recorded by Barbara Kessler, Mara Levine, Andrew Dunn, and Janet Feld. Terry also leads songwriting workshops and is the NSAI Boston workshop coordinator. In addition to performing as a solo artist, Terry and New Jersey folksinger Mara Levine perform as the contemporary folk harmony duo Terry Kitchen & Mara Levine. They perform an eclectic selection of Terry's songs, songs from Mara's solo recordings, and songs they love from the folk and folk-rock traditions. They began performing together in 2008 and released a duo EP in 2012. They've appeared together at the Minstrel Coffeehouse, Godfrey Daniels, the People's Voice Cafe, the Borderline Folk Music Club, the Rockwood Music Hall (as part of John Platt's On Your Radar series), and the Falcon Ridge Folk Festival. For more on Terry and Mara, visit terrykitchenmaralevine.com. Terry Kitchen is a member of the Massachusetts Cultural Council's Touring Artists Program. The MCC, in partnership with the New England Foundation for the Arts, makes funds available to organizations that present Touring Artists. Please click www.creativeground.org for how to apply for funding for a Terry Kitchen performance.